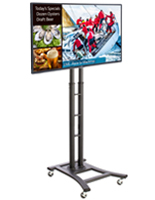 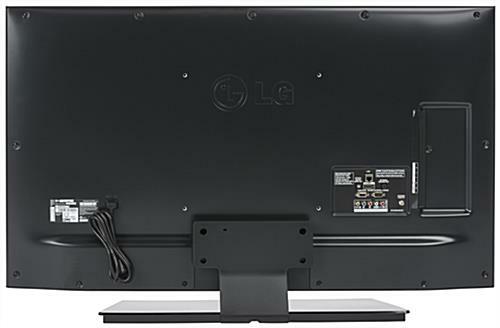 This digital advertising TV bundle includes a 49” LG television with an LCD display, SuperSign software, silver stand, and 60” x 21.5” poster holder perfect for drawing the attention of a new audience for more business! 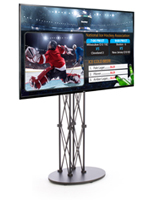 Use the integrated content management software to edit, control, and showcase 74 free templates that combine images, text, video, and even live television! 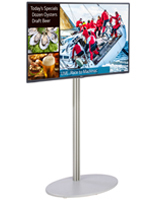 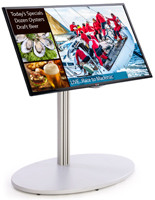 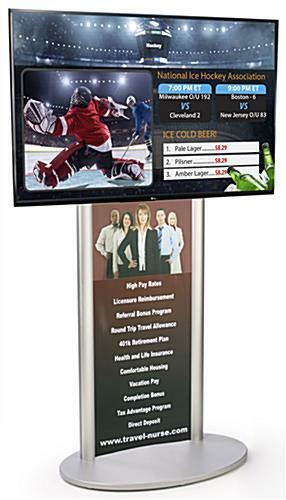 Use the wireless advertising TV to impress your audience or business workforce with relevant media and information shown on the easy to see stands. 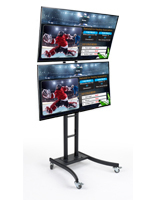 As an added bonus, LAN connectivity makes it possible to remotely control up to 50 devices at one time! 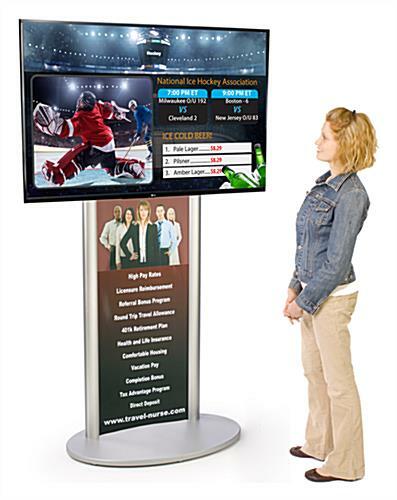 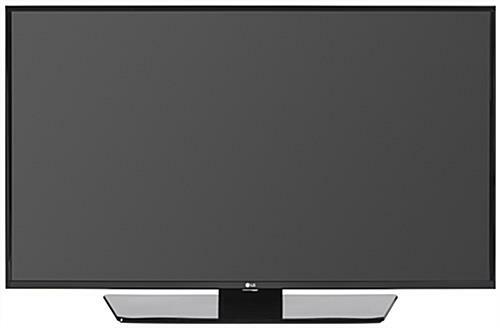 Each advertising TV has an LCD display and also features HDMI and USB ports, a 1080p resolution, and a 120Hz refresh rate. 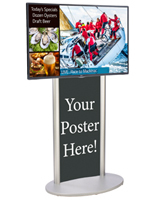 This versatile set will allow you to bring much needed attention and business via your own version of a media outlet.